Great value arises from strategic partnerships. Recently, I had the fantastic experience speaking at Google Cloud NEXT’18—a conference gathering of Google Cloud and its many users, where we discussed highlights of the enduring partnership between Google Cloud and Intel. 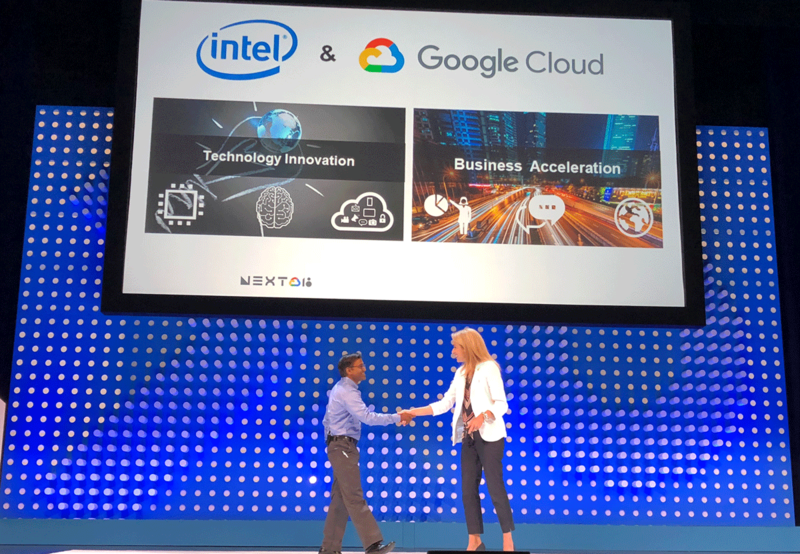 Our time on stage at Google NEXT’18 was a reminder of how much Intel works with Google: We're both market makers, disruptors, innovators, and pioneers in cloud computing. With a focus on customers and a rapidly evolving cloud landscape, our strategic alliance and partnership continues to flourish as it has since Intel and Google started working together in 2003. At that time, Google’s in-depth feedback and real-world benchmarks helped increase the Intel® Core™ 2 processor’s performance. This led to another collaboration on a custom version of the Intel® Xeon® processors for Google, beginning with the 5600 series (Code-named: Westmere) in 2008 and covering a total of six Intel® Xeon® processor generations since. Google was the first to market with Intel® Xeon® Scalable processor family. One day before my presentation, on July 23rd, Google Cloud delivered the Partner Summit event dedicated to Google Cloud Partners community. I was happy to know that Intel was recognized there and received the 2017 Partner Award for Innovative Solution in Infrastructure. I am delighted to see how our strategic alliance is strong, underscored by Intel receiving this important award. At this week’s event, Google Cloud announced a partnership with Intel and SAP to offer future Google Cloud Platform (GCP) instances for SAP* HANA supporting the upcoming Intel® Optane™ DC Persistent Memory. Using this revolutionary new memory technology, Google Cloud will be able to offer higher overall memory capacity to GCE VMs compared to instances with only DRAM, and enjoy greater data and service resiliency since the data remains persistent in memory. This collaboration was two years in the making, and continues to push the envelope of cloud computing. Customers can now sign up here to learn more about SAP* HANA on Google Cloud Platform VMs with Intel® Optane™ DC persistent memory and to be notified about its availability. 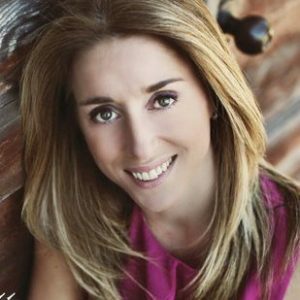 Intel and Google Cloud have also taken another step further with a strategic partnership with Appsbroker to offer an Extreme Cloud Center of Excellence (ECCoE). Initially based in the UK, this CoE facility is offering a secure development environment to work with customers to tune and optimize computational workloads for on-premises, hybrid, and cloud infrastructure models via rapid-prototyping, assessments, and deployment readiness. Through Appsbroker, the largest Google Cloud-only Premier Partner practice in Europe, the solution combines a physical CoE with dedicated staff, latest technology from Intel and Google Cloud, and their expertise to reach customers across multiple industries. To know more about this program, please visit the ECCoE site. Lastly, we are happy to announce field trial availability for the Intel® Connected Logistics Platform on Google Cloud. This IoT solution offered by PA Consulting allows enterprises to unlock new insights from their supply chains and utilizes Google Cloud’s IoT platform to provide a scaled backend needed for global supply chain management. PA Consulting is taking this solution to market with select customers starting this quarter and into the second half of 2018. Intel and Google Cloud will stay customer-focused and push technology innovation forward, bringing new services and value to the cloud users. I can’t wait to tell you about the next big thing our collaboration will deliver in the future. To learn more about Intel and Google Cloud partnership, visit here. Next article:Another alarm rings: Retail fulfillment in an on-demand world.